Kanlaya's Eyrie is a place of exceptional beauty, a seamless blend of enchanting architecture, stunning topography and matchless mountain views. It's a commanding site. The house sits atop a spectacular garden that drops down over 50 metres through great limestone palisades to where the river, far below, has etched a great S-bend out of the bed rock upon which it sits. Far up the sinuous valley lies the hazy Burmese border. 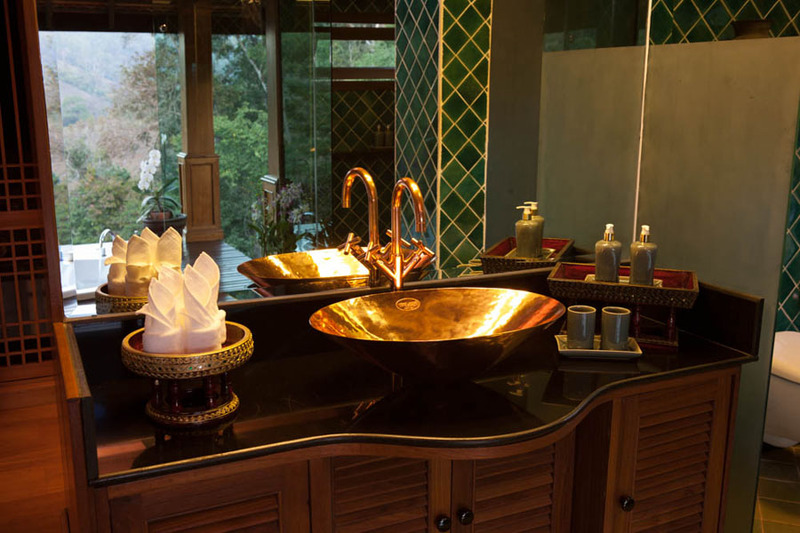 It's an oasis of luxury in a wilderness setting. 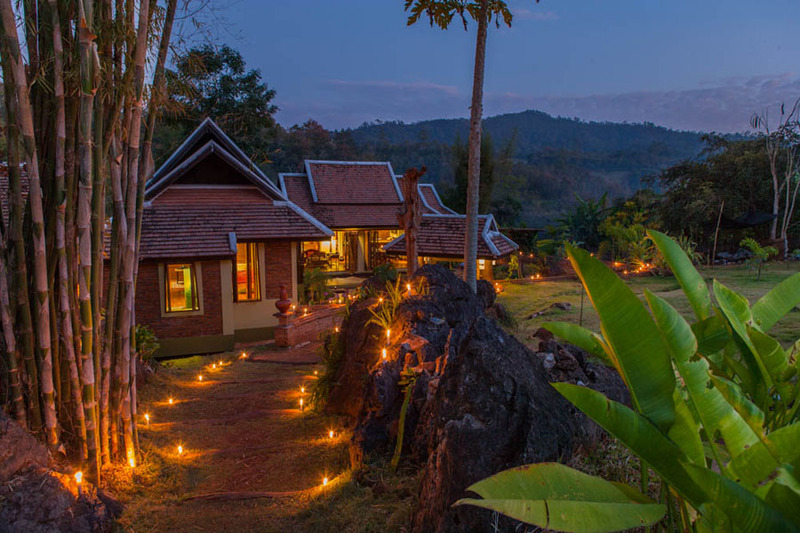 In traditional Lanna style the house comprises three separate structures, stepping down the gradients a metre at a time, bound together by balconies on every side, a generous footprint of some 6000 square feet. 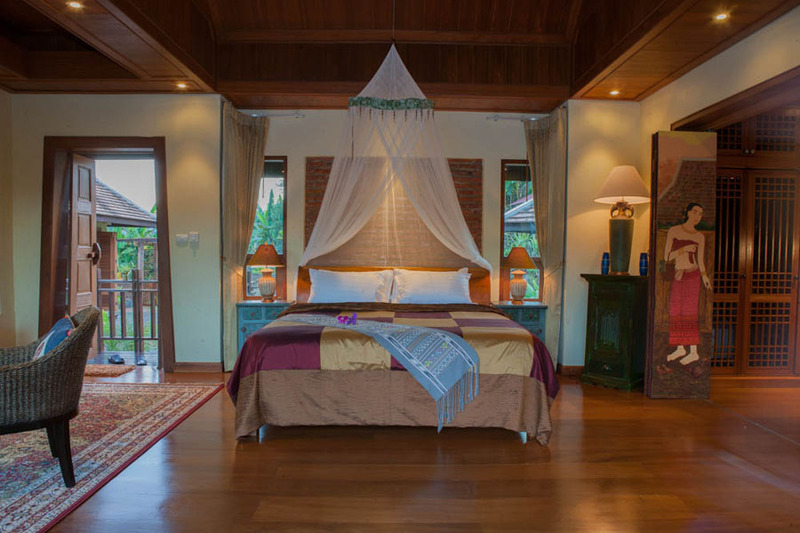 Beneath an exquisite roofscape: Celadon tiles, Thai silks, Tribal weavings, rattan furniture and glistening teakwood floors. 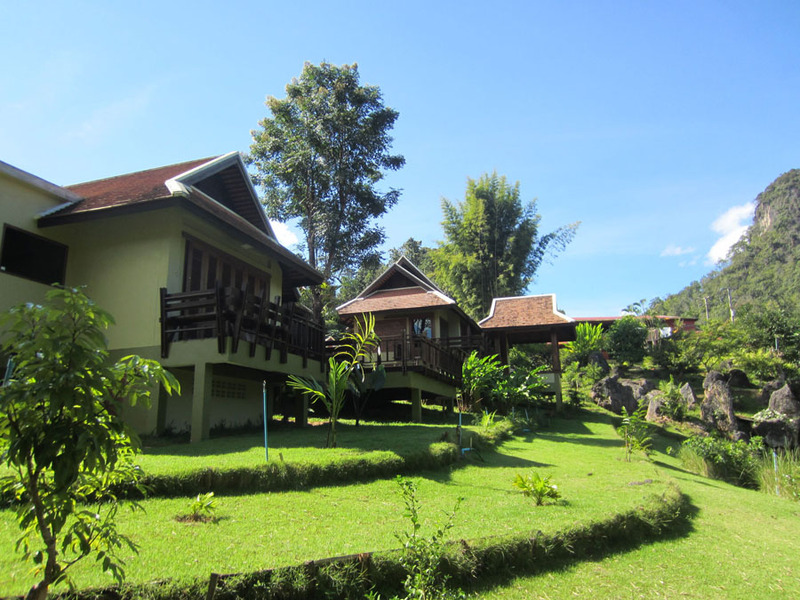 The Courtyard, flanked by the Honeymoon suite and Sala, and guarded by splendid studded doors of great antiquity, is a magical place, deeply shaded, verdant with luxurious jungle plants, tree ferns and orchids. 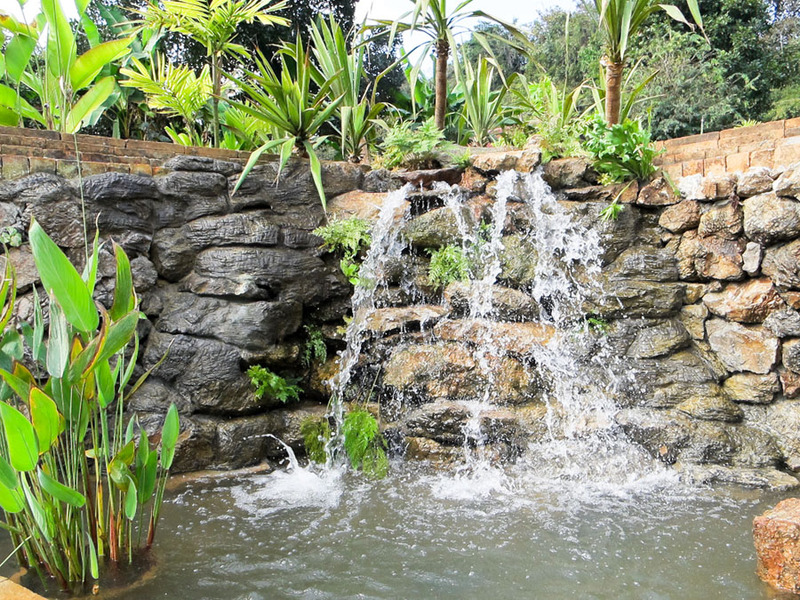 Water cascades over one corner to swirl around the entrance stepping stones, flanked by lily-filled rills. On winter nights a great log fire blazes to complement a star studded sky of exceptional brilliance. The Honeymoon suite, the last word in romantic luxury, is generously proportioned. 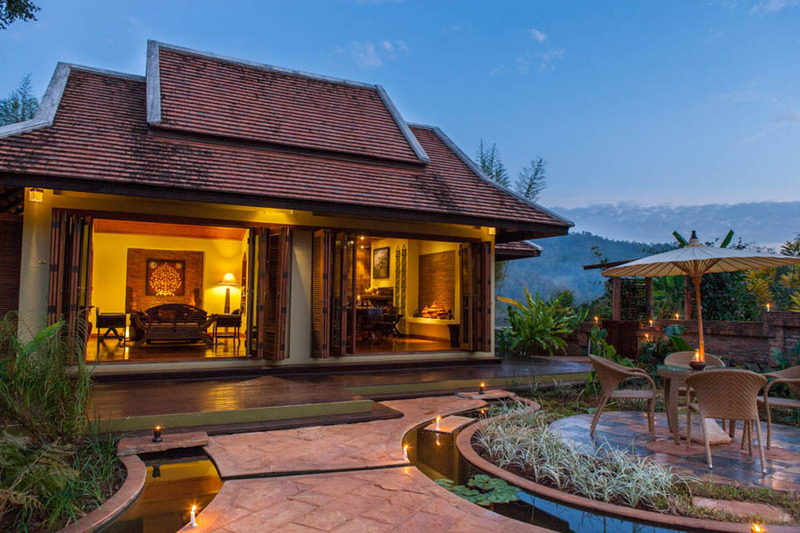 A ten foot wide teak screen, it's mural depicting a Lanna prince and his bride, parts to reveal an enthralling bathroom, leading out to the Jacuzzi pavilion, and balconies cantilevered high over the valley with spectacular 180 degree views. 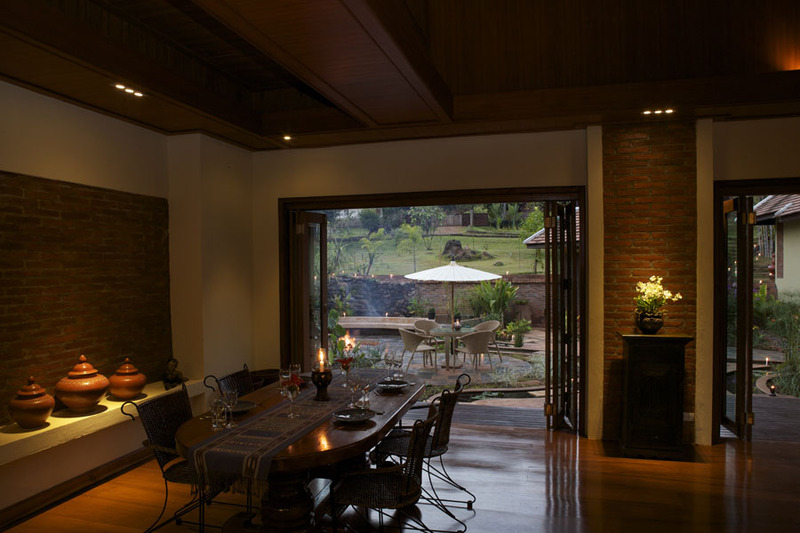 The Sala is an extensive open plan living space, traditionally furnished. Two of its three great folding doors give on the courtyard. The third faces up the valley and leads to the main balcony, shaded by a fine flowering tree at its centre. 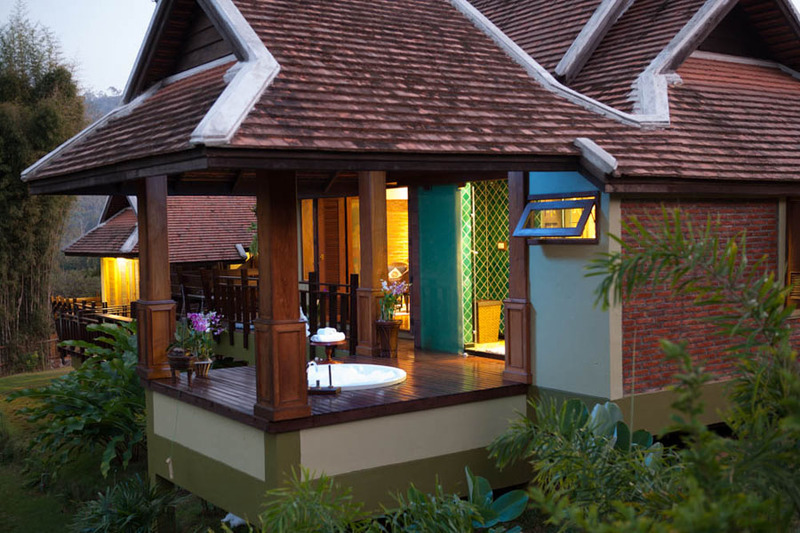 Kanlaya's suite sits discreetly below the Sala, with it's own private access as well as steps up to the main balconies. 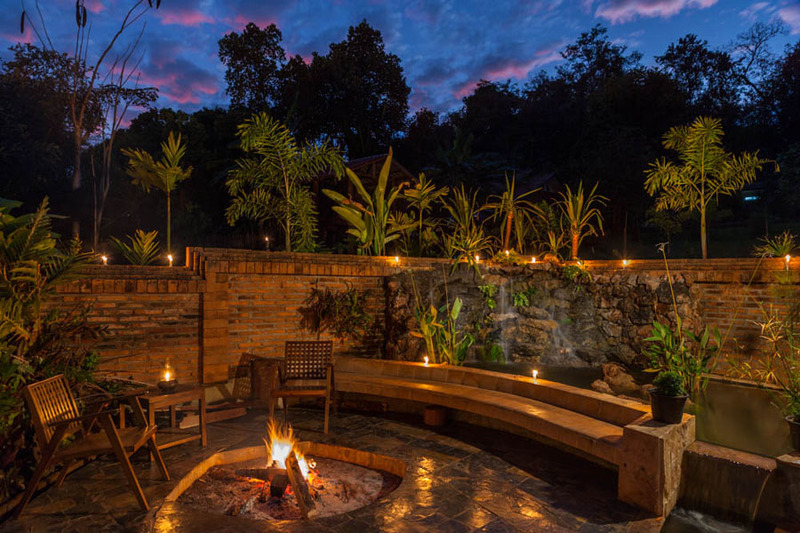 Creating, what in time should be, one of Northern Thailand's great gardens owes as much to South Farm's gifted landscape designer, Stuart Bennett, as it does to the spectacular topography and near perfect climate. It is already a pleasure for all the senses.